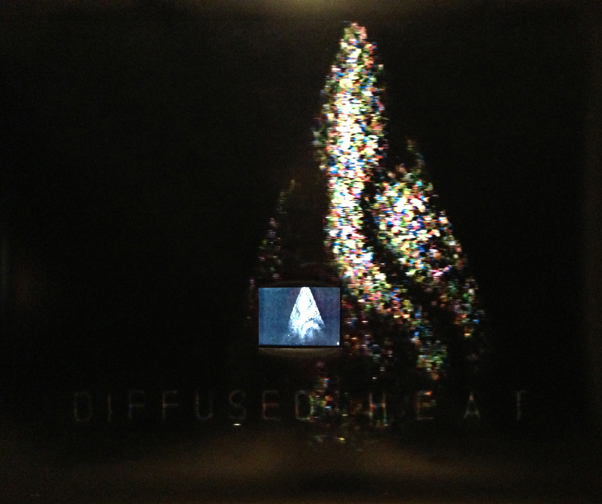 Revitalizing earlier work that utilized the holographic process ‘real-time interferometry’ these large digital archival prints include a window cut out to view a DVD of the continuously changing fringe patterns of otherwise invisible nanometer changes from water and heat (fire). They record water and heat influences seen on two ceramic objects shaped in the form of a pyramid and a basin. A moment in time of the fringe pattern is frozen and enlarged in the print. 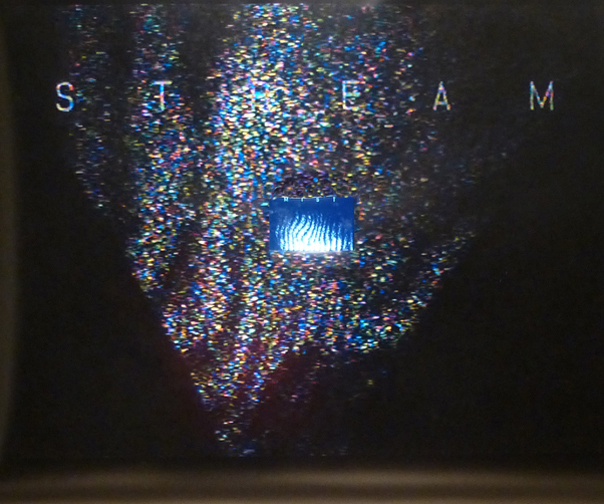 This holographic process makes visible, using light, otherwise imperceptible influences in our daily environment. 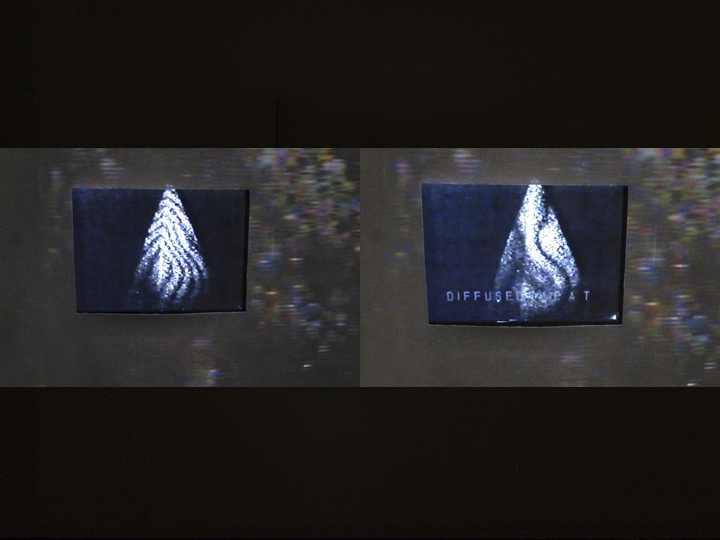 One of the works above was executed in another variation, “The Fingerprint of RA”, for an exhibition at Peters Projects, and for the 2015 The Year of Light.